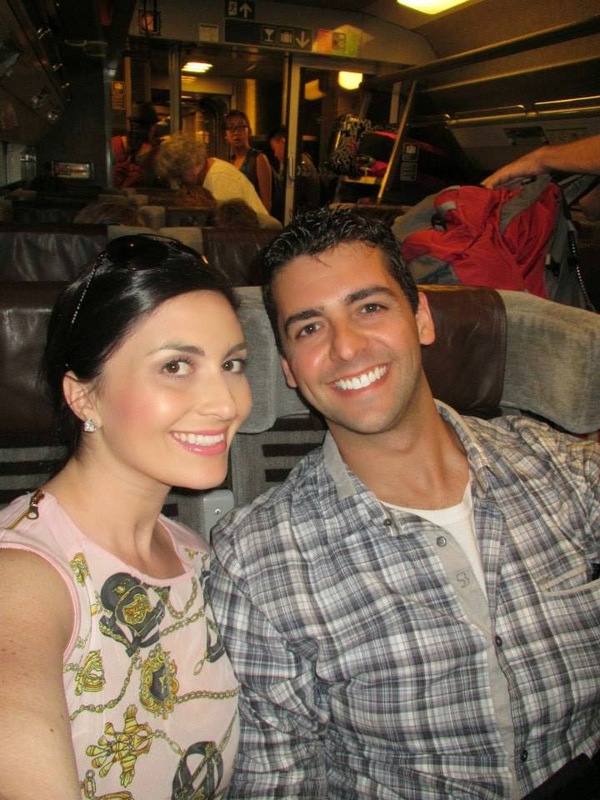 On Monday the 14th we took the EuroStar train to Paris! You would have thought I was a kid on Christmas morning because I was so excited to arrive in Paris. It's on my 30 before 30 list and I'm so happy to be able to check that one off! Both Gary and I have lived abroad before, but we don't speak a lick of French (aside from the universal words) and it became apparent we were going to have a tough time communicating when we tried to find our hotel once we got out of the train station. I wish someone would have recorded me asking a newstand guy where “Rue de Rennes” was (comedy hour at it's finest)...finally we were pointed in the right direction. As I mentioned in the London recap having a hotel near public transport was key! We stayed at The Legend Hotel in the 6th Arr. of the Saint Germain area. I booked directly from their site and found them through another deal website. 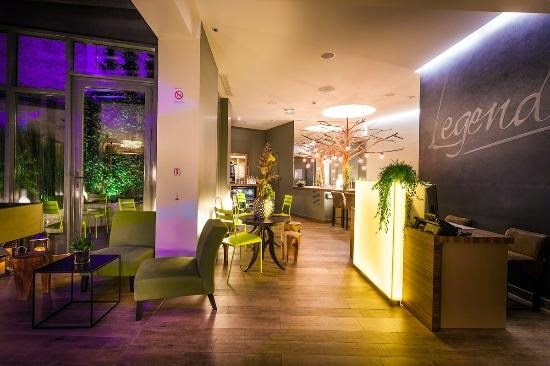 It was actually cheaper to book directly on the hotel website, as it is for most Parisian boutique hotels. 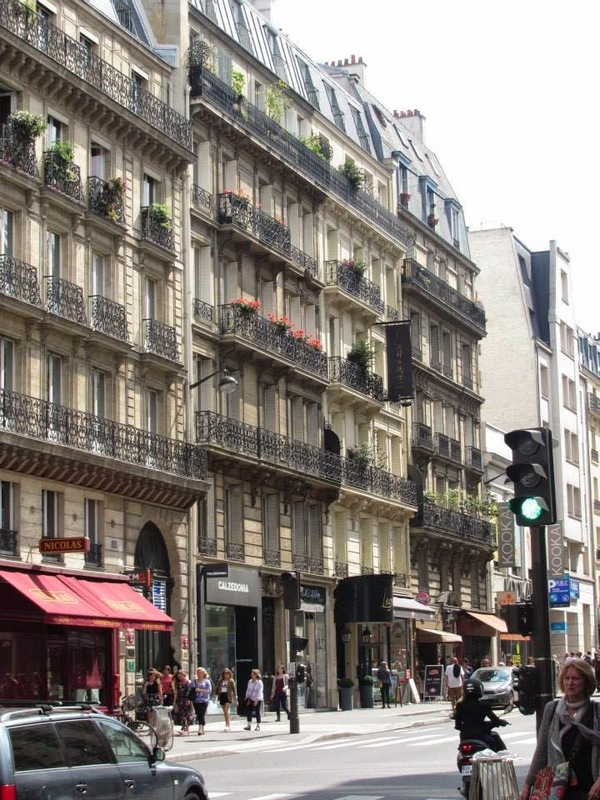 To give you an idea of location, we were about a 30 minute walk to the Eiffel Tower and a 7 minute walk to the Luxembourg Gardens. 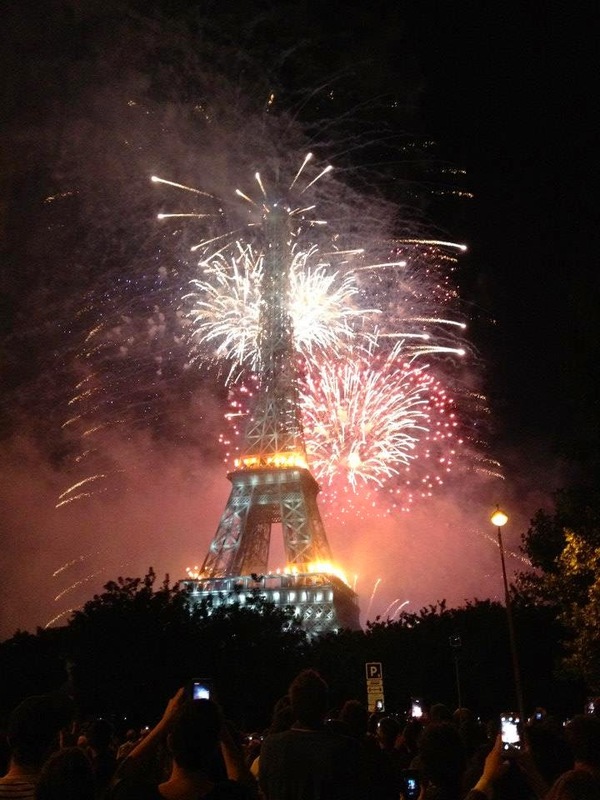 Monday: We didn't plan our arrival into Paris on Bastille Day, it was just a happy accident. We knew the Eiffel Tower would be the best view of the fireworks, but we were both in shock at just how many people would be there! It gets dark SUPER late in Paris and the fireworks didn't start until 11:00 PM. It's an indescribable feeling to see the Eiffel Tower in person. It may sound cliché, but it's a moment I'll remember forever! Seeing the Eiffel Tower shooting out fireworks put's every other fireworks display I've seen to shame! Tuesday: I'm pretty sure I ate my weight in chocolate croissants during this trip and I don't feel bad about it at all, especially with all the walking we were doing. We opted for a semi-guided tour and skip the line pass for the Eiffel Tower. Thanks to Easy Pass Tours, we didn't have to wait in the 4+ hour wait to tour the Eiffel Tower. There are two observation levels to the Eiffel Tower. The fast pass gets you to the second level without having to wait in line, but once up there everyone has to wait to get to the top viewing deck, which isn't bad if you go straightaway without looking around the second level first. We made our way to the first level viewing deck and the views are really magnificent! After a quick lunch we decided to visit Musée d'Orsay. I'm not a big museum person (not a shocker for those who know me), but in Paris there were two that I knew we'd have to visit and Musée D'Orsay was on that list. It's a beautiful museum in a converted train station! I think we lucked out with lines on this trip because they say museums are the worst for them, but we went right around 2 PM and there was a small 10 minute wait through the security line. You aren't allowed to take photos in the museum, but sometimes rules are meant to be broken! 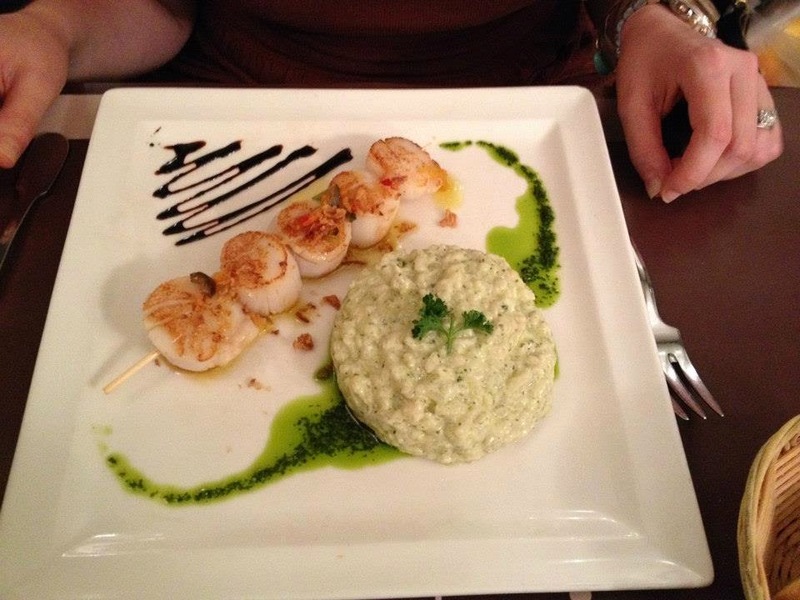 We had some great meals in Paris, but two really stood out and the first was in a cute little restaurant near our hotel. Wednesday: I had been looking forward to Wednesday in Paris since March, when we booked a tour with Michael. He owns ParisFind and pretty much everyone in my family (including extended family) and friends have toured with him. 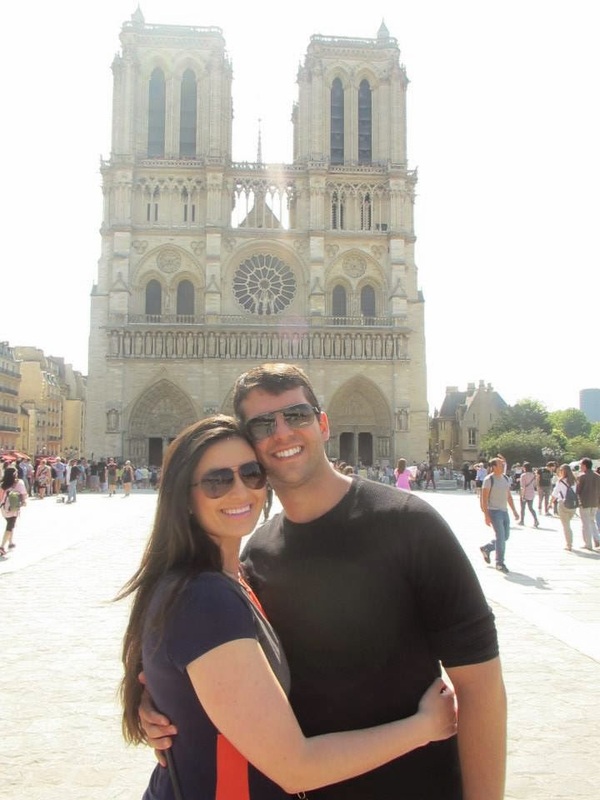 He is an American who has been living Paris for the past 16 years and has been offering tours for years. He knows interesting facts that aren't in any guide books and takes your through the city in ways you wouldn't get there otherwise! As an added bonus, we wouldn't have to ask strangers to take our pictures!! Before Michael met us at our hotel, we made sure to get some crepes!! Our first stop was a walk through the Luxembourg Garden (which honestly I'm embarrassed I didn't realize was right near our hotel). The Palace is so grand and the grounds are meticulous kept up! We walked through the Saint Germain area hooking into little streets with the most interesting stories behind them. 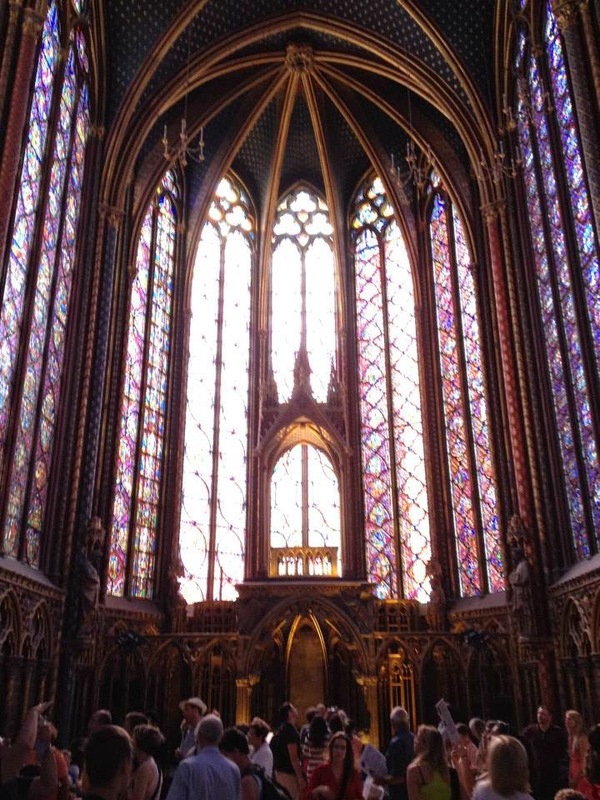 I had heard about Sainte Chapelle and seen the stained glass in Paris Guide books, but seeing the church first hand was incredible. 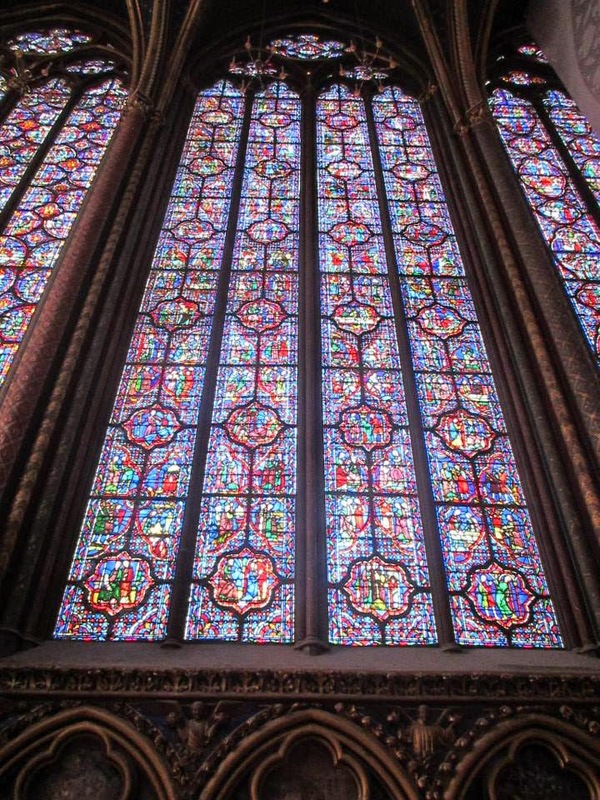 Every single window pane has a chapter from the bible...beautiful work!! It seemed like everything was right next to each other, but it was just the way Michael guided us - didn't feel like we were walking at all! We forgot a lock at home, but of course there were endless people selling them nearby! Funny enough, this guy tried to get us to pay 12 euros for one lock! That was never going to happen, we haggled him down to 3 euros so easily - still way more than we should have paid! Hope you'll come back Thursday for Part II (also final part) of the Paris re-cap which picks up at the Moulin Rouge! Tomorrow I'm really excited to share the second installment of the B~Inspired Series!! In case you missed the London recap - you can read it here. This has got me so excited for our Paris trip in less than 3 weeks! seeing the sights was incredible but too many damn people!! i know, everyone goes to see those historical monuments but so.many.humans. and it doesn't matter what time of day either - it's always crowded. those crepes are TO DIE FOR. i must have come back from paris 10lbs heavier because of all the amazing food. 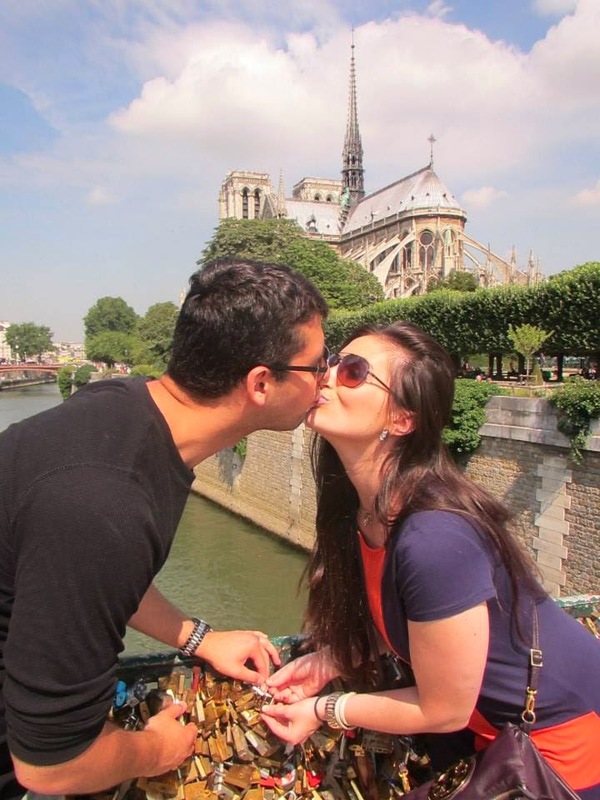 So jealous of your Paris trip! I wish I would have spent more time there now, I didm't get to do nearly enough things! 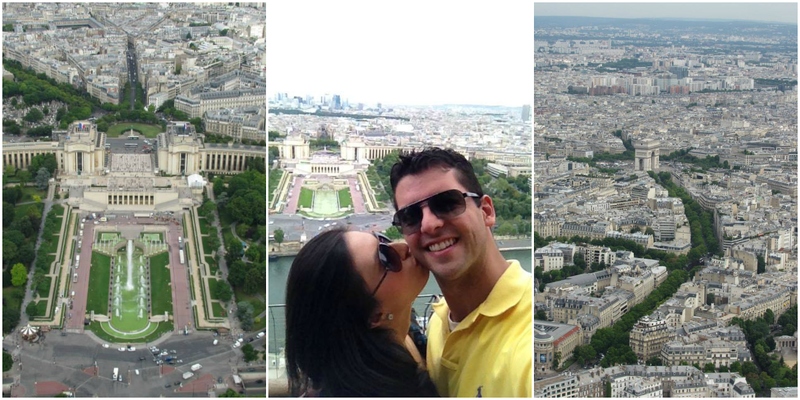 We never made it to the top of the Eiffel Tower but the views from the second level were amazing enough! Glad you had such an amazing trip! Ummmmmmmmm....I totally need to go to Paris now. Would you believe my parents are gonig in a week?!!? so jealous! Nutella crepes are the greatest invention ever and I'm a straight sucker for scallops....le yum! Love all your pictures, looks like so much fun! I would absolutely love to go to Paris! The destination is definitely on my bucket list! I love the fireworks over the eiffel tower and all the food looks so delish!! Such a fun trip! Love crepes and having them overseas with nutella is just amazing. Love the stained glass, so pretty. That is crazy they try and charge that much for a lock, good negotiating skills! Wow all these pictures are amazing. Everything... the food, the cathedral, the firewords behind the eiffel tower!! OMG I am swooning over this!! I am saving every link you posted for our honeymoon! Those views! Wow! And so cool to be there on Bastille Day! I can only imagine how amazing it is to see all of these amazing places in person! I love your red/blue/grey dress! Those pictures are STUNNING!!! So happy you got to go, Paris is one place I'd love to go to in the future! Lovely! I do love Paris. I want to go back now!!! Haha. I'm so happy that you had a nice time in Paris. Love all of your pictures too, you look beautiful. The caption on your last picture at the Love Bridge is so sweet too. :-) Have a wonderful day lady!! I absolutely loved Paris and agree. There is nothing quite like seeing tge Eiffel tower in person. Feels like a dream. Im so excited for your next installment of B~inspired!!! #1 you look gorgeous! How you can look that flawless when you travel is nuts! #3 the lock bridge is on my Bucket List for sure! Can't wait to read about the Moulin Rouge! I just sat here at work reading this amazing post! This looks like such an amazing trip! I love all of the pictures and it seems like you had the trip planned perfectly! oh to say I'm jealous is an understatement. I cannot wait for part 2!! I do like museums, but I like science and history, I am not an arty person at all, so I doubt I will actually go into the Louvre (how terribly uncultured of me!) but Musée D'Orsay is absolutely, no questions asked, on the list! how was the weather in Paris? Thanks for the tip about Michael, sounds like a great tour guide! You're so lucky you got see Paris! 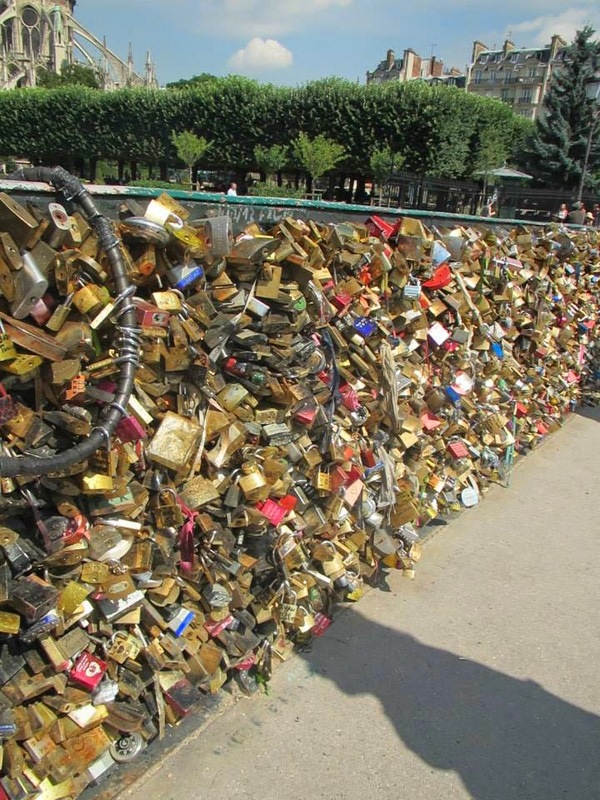 I always wanted to go to the 'Love Bridge'. I love the look and concept of it! The picture of the Eiffel Tower with the fireworks is amazing! Hang in your living room worthy. LOVE! The hotel looks gorgeous and all the pretty architecture! Looks like the park around the eiffel tower was packed with people. Wow, your pictures are amazing! Paris is on my bucket list! I literally want to do everything you did! I love it! So lovely! I was there a year ago today, and it was an amazing trip. So great you were there for Bastille day! Love love love this! The Eiffel Tower, the chocolate croissants, the lock bridge.. sigh, amazing. Looks like the weather was much better in Paris, too!! Gorgeous!! 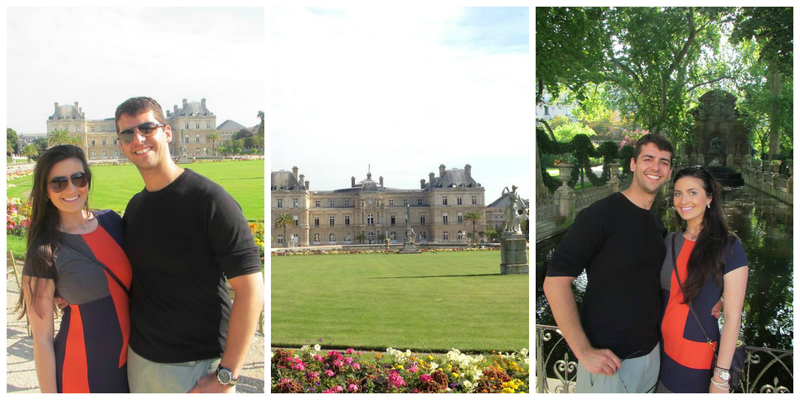 We stayed in that same area of Paris when we went and Matt and I got engaged in the Gardens of Luxembourg!!! So beautiful!! What a fabulous trip!!! Sounds like a fairy tale trip girl! I need to hear more about this Michael individual! Ahh Paris - my absolute favorite!! Enjoy! Oh my gooodnessss I am so very jealous!!! Your photos are absolutely amazing and it looks like you're have the best time ever!!! I'd love to just go see all the churches & cathedrals... beautiful! These are making me SO excited for Paris! Great pictures! That fireworks pic is phenomenal! So cool that you got to see that. Once in a lifetime moment for sure. Can't wait for part 2! 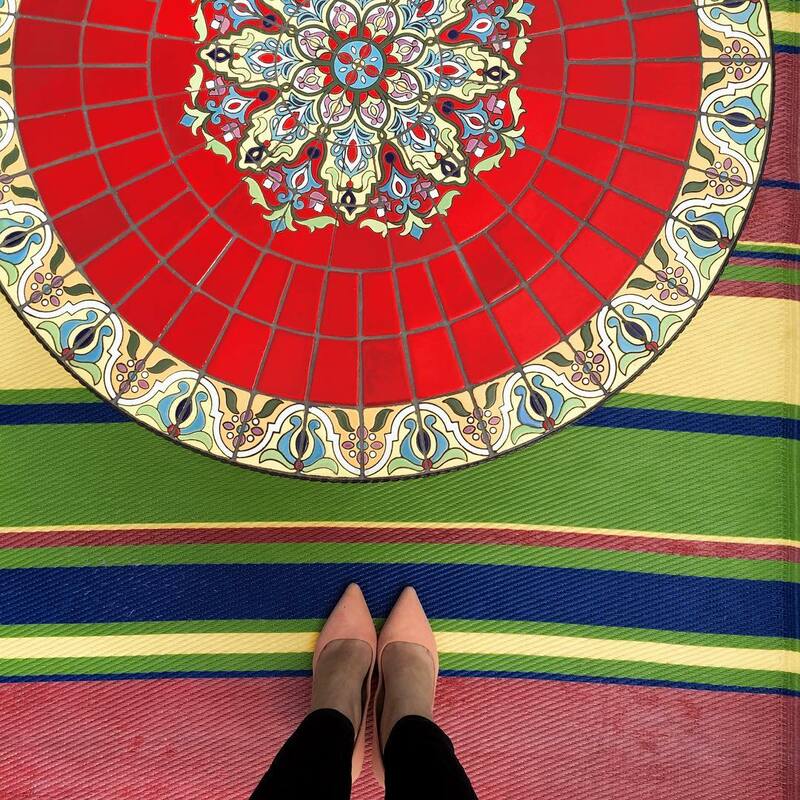 Gorgeous pics from your trip! You make me want to go to Paris even more! That's awesome y'all were there for Bastille Day! I am dying to go to Paris!! So happy you got to go and see so many amazing things! That picture of the fireworks over the Eiffel Tower is amazing! What a once in a lifetime experience! Love all of this... Especially the Eiffel Tower fireworks- how amazing!! Aah so want to visit. Glad you for your own lock even though they tried to rip you off. Cute outfits too! Absolutely GORGEOUS pictures!!! I was in France a few months ago, but in Marseille and I'm bursting at the seams to get to Paris! Be still my heart! I can't wait to go to Paris one day. I'm not sure that I'll ever want to leave :). Love love your review of Paris. I cannot wait to go back there. Great pictures and thanks for the tour recommendations, totally checking them out. oh man i love Paris!! Glad you had such a good time! These pictures are incredible! I am dying to go! 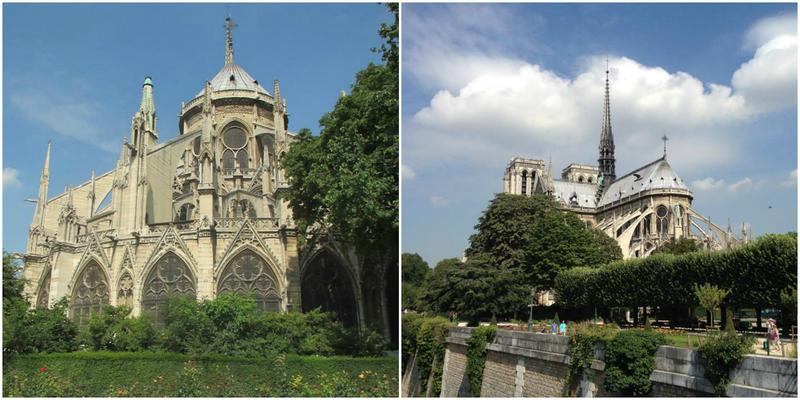 i've been to paris a few times before, but then seeing your pics makes me wanna go right back!! 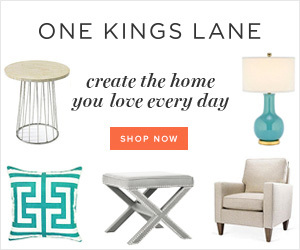 swooning over here!! and that tour guide sounds AMAZING!! Amazing!! Paris is definitely on my bucket list for one day and all these recaps are making me want to go even more!! Looks like you had an awesome time! 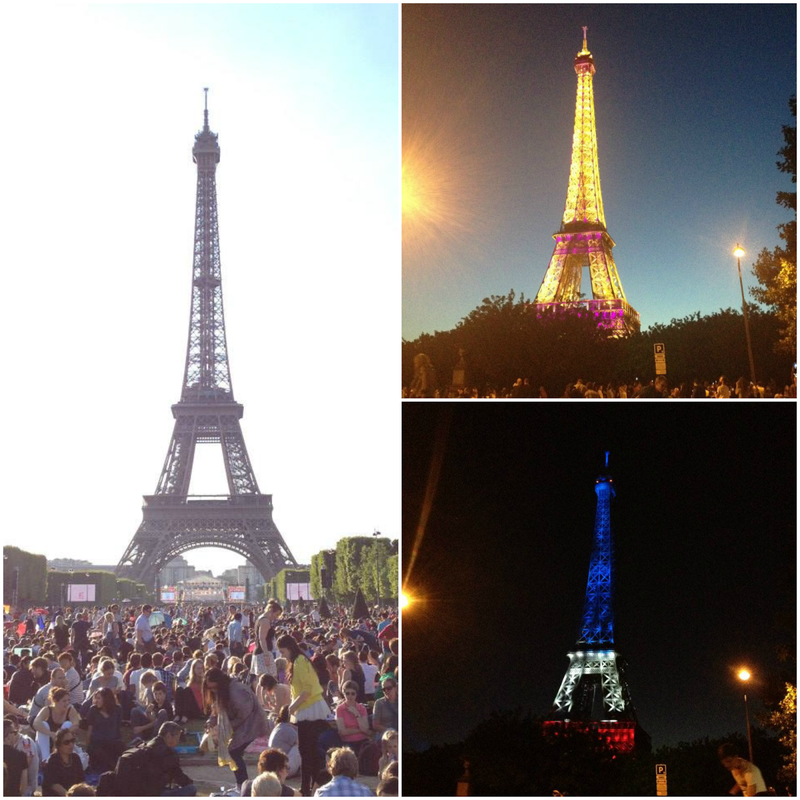 your photo of the eiffel tower on bastille day is beyond stunning!!! wow! Wooowww Biana! Your photos are amazing! Y'all did everything and were there at the perfect time!!! I'm so glad you got crepes and went to the Musee d'Orsay!! All the great famous paintings! So cool that you got to see the fireworks :) Wow! Such amazing photos! 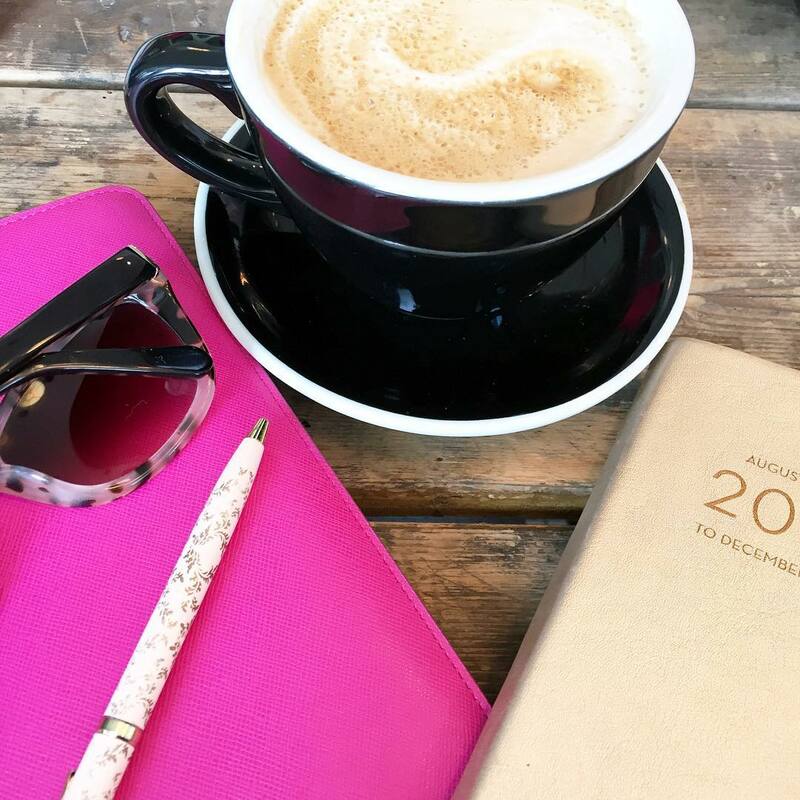 If I ever make it to Paris, I'm gonna use your recaps as my planner! Haha, I had the same problem when I went back to Paris after living there. I forgot how no one knows English and if they do they feel put out to speak it. I love your photos! I'm writing this hotel down too!